The Talbot 14/45 was the first complete car design from the pen of engineering genius Georges Roesch. He pioneered the use of high compression and high revs as the source of refined power. 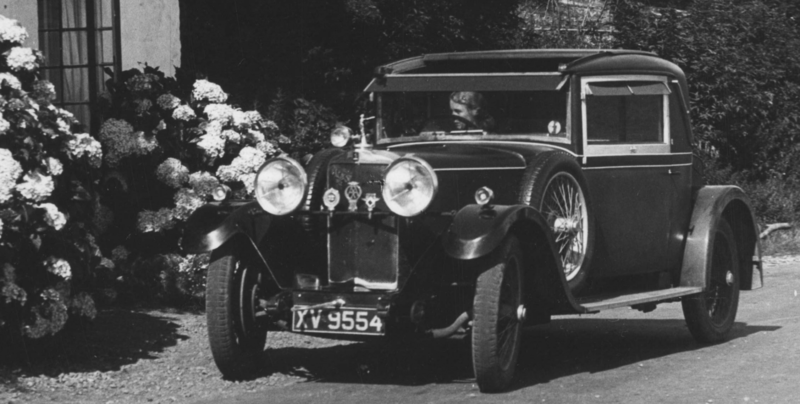 The 14hp had to be right from the drawing board in order to save the moribund Talbot factory and parts for 1000 cars were purchased before a prototype had run. Fortunately the car was the star of the 1926 London Motor Show and order books filled immediately. Talbot had been saved! 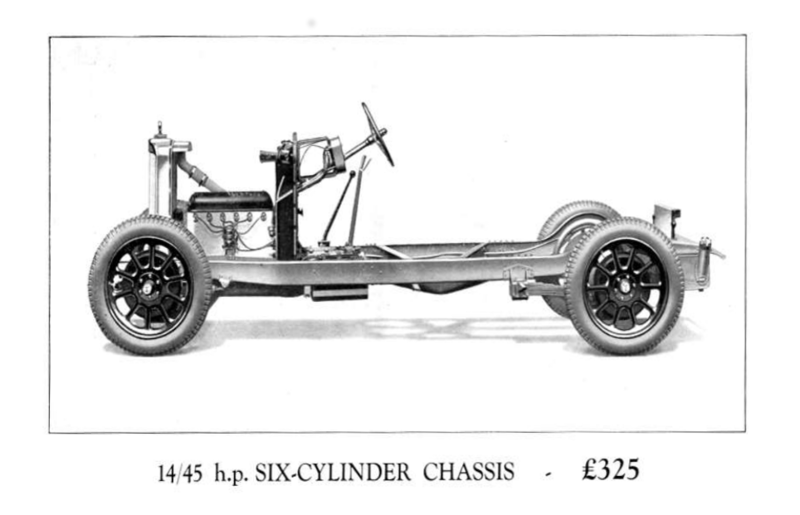 The heart of this miracle car was an unremarkable looking six-cylinder engine, but bristling with innovation: rockers oscillated on ‘knife-edges’ and pushrods were as slim a knitting needles to give the lightest valve gear around; the four-bearing crankshaft was sturdy and machined from solid; water circulation used thermo-syphon with cooling provided by a fan integral with the flywheel; silent starting and charging came from a direct-drive dynamotor; twin-point Delco-Remy coil ignition was state of the art for the time and the innovative two part pistons (aluminium crown and iron skirt) accommodated a compression ratio of 5.5: 1. At 4500rpm it produced an impressive 45bhp. The chassis was more conventional, but benefitted from well-developed steering and four-wheel brakes with self-servo action on the front. Available in 9’3”, 9’6” and 10’ lengths it would serve as the basis for all future Talbots. The four-speed gearbox shared its lubricating oil with the engine – 30 years ahead of the Mini, and towards the end of production it even offered the innovative pre-selector gearbox and traffic clutch. The 14hp was the foundation of Talbot’s commercials success: “Rolls Royce refinement for half the engine size and quarter the price”. It went through model evolutions and carried many different body styles – making particularly effective use of the Weymann method of saloon body construction. But by the mid 1930s the ten year old design was showing its age and production ceased in 1935 after 11 000 of these workhorses had been made. About 70 of these charming cars remain and most Talbot enthusiasts agree it is the purest of the Roesch designs. It will hum along at 60 mph providing complete comfort to its occupants. Club trips are not complete without a 14/45 and they are very rarely the last to the bar!